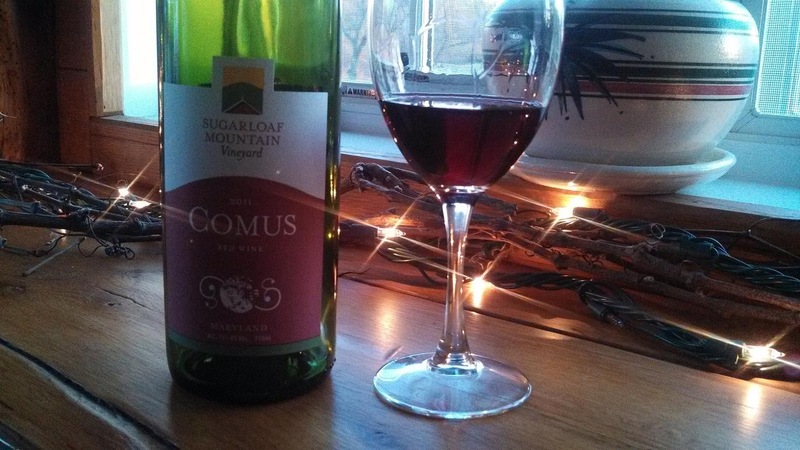 Even though we live in Virginia, the closest winery to us is actually in Maryland, Sugarloaf Mountain Vineyard. We've been heading up I270 on a regular basis for the past seven years to hike up the mountain and then enjoy some nice wine afterwards. The winery is owned by a family conglomeration, the offspring of Dan and Polly O'Donoghue - who purchased the farm in the early 1960s - included the signature bright red barn (built in the early 1900s). When deciding to plant vines, they hired vineyard consultant, Lucie Morton, who meticulously surveyed the property and determined which Bordeaux varieties would excel in each lot. They then double downed on success by hiring Carl DiManno as their vineyard manager and winemaker. Morton and DiManno have contributed to dozens of successful east coast wineries, and most definitely SMV. In 2011, Benoit Pineau took over the wine-making responsibilities and can claim credit for our current profile - the 2011 Comus. The wine's namesake is both the Greek god of revelry and merriment and also the road in which the winery is situated. It is composed of several Bordeaux varieties and aged in used French oak resulting in a flavorful dark fruit and slightly spicy profile. It is medium - full bodied with subtle tannins - easy to drink alone or pair with tenderloin, pork roast and game (as the winery suggests). This is a really nice wine, one of my favorites from the state. The judges at the 2013 International Eastern Wine Competition also enjoyed this wine, giving it Best in Class for Bordeaux styled red blends. Cheers to that and to the upcoming DrinkLocalWine.com conference scheduled for April 13th in Baltimore. 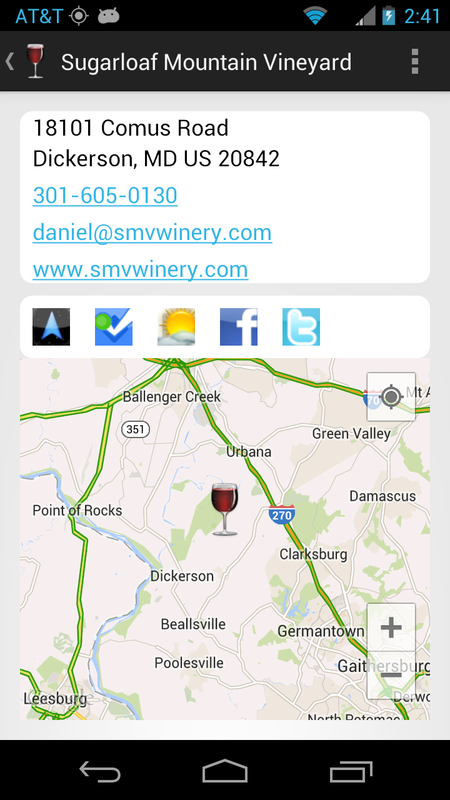 Spend the day tasting the many quality wines Maryland has to offer. You won't be disappointed.